Congratulations NORTHERN INDUSTRIAL MFG CORP! You are receiving this letter because your manufacturing location is being awarded the General Motors Supplier Quality Excellence Award for the 2017 calendar year. This is the Sixth year Global Supplier Quality & Development will be presenting this prestigious recognition award. The award is given to specific manufacturing locations and only our top performing supplier manufacturing sites are eligible to receive it. Suppliers who receive this award have met or exceeded a very stringent set of quality performance criteria and have achieved the cross-functional support of the entire GM organization. This was an even bigger challenge as GM continues to launch many new and exciting products. GM’s goal is to “earn customers for life.” Fundamentally, it’s about changing behaviors, holding ourselves accountable, and delivering on our commitments. It’s about putting the customer at the center of everything we do… and that applies to every function, every employee and every Supplier and their family of employees as well. And through your plants performance you are helping to live that culture. 2017 was a great year for GM, and without the performance of suppliers like yourself this would never have been possible. We encourage you to continue your drive to BIQS excellence and focus on making 2018 an even better year. Please accept this letter as official notification of your award status. Congratulations! You are receiving this letter because one or more of your manufacturing location is being awarded the General Motors Supplier Quality Excellence Award for the 2015 award year. This is the fourth year Global Supplier Quality & Development will be presenting this prestigious recognition award. 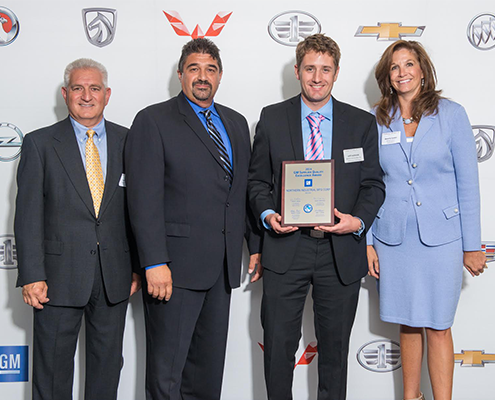 In October 2014, Northern Industrial received the General Motors Supplier Quality Excellence Award. The award is given to specific supplier locations and only GM’s top-performing global suppliers are eligible to receive it. 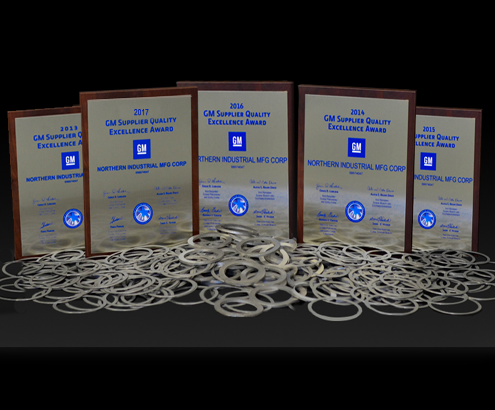 According to GM, “suppliers who receive this award have met or exceeded a stringent set of quality performance criteria and have achieved the cross-functional support of the entire GM organization.” The award recognizes approximately 7 percent of production suppliers and those who have demonstrated the highest levels of quality performance over the previous 12 months. 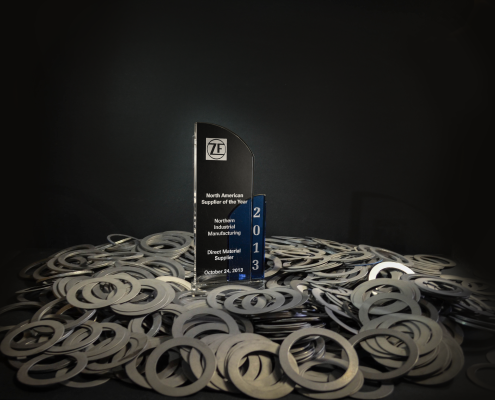 0 – Number of defects in parts and components delivered by Supplier Quality Excellence Award winners. In October 2013, Northern Industrial received the General Motors Supplier Quality Excellence Award. The award is given to specific supplier locations and only GM’s top-performing global suppliers are eligible to receive it. According to GM, “suppliers who receive this award have met or exceeded a stringent set of quality performance criteria and have achieved the cross-functional support of the entire GM organization.” The award recognizes approximately 7 percent of production suppliers and those who have demonstrated the highest levels of quality performance over the previous 12 months. General Motors is recognizing 801 suppliers who have demonstrated the highest levels of quality performance over the past 12 months. This is the second year GM is honoring suppliers who are making noteworthy contributions to GM’s goal of providing the best overall customer experience in the automotive industry. Two hundred more suppliers met or exceeded the stringent quality performance criteria required this year.